Maybe you're a little scared of The Bluebook. Nothing to be ashamed of: lots of people are. But you can conquer your fear. One step toward that might be understanding it better. To that end, check out David Ziff's thoughtful (and entertaining!) review essay, The Worst System of Citation Except for All the Others, forthcoming in the Journal of Legal Education. I’d argue that the hardest part of learning legal citation is not mastering The Bluebook, not learning the italics and the abbreviations and the periods. Rather, it’s learning the judgment required to know what to cite, and when, and for what purpose. After all, as a system of communication that is built upon precedent, legal writing in the Anglo-American legal system depends on citation in ways that other fields do not and never will. Citation is integral to how our meaning gets made. Amen to that. Sure, you need to figure out the rules for citing law review articles, treatises, cases, and the rest. But that's just a matter of looking up the rules and following examples. The harder task if figuring out when to cite a law review article, a treatise, or a case. 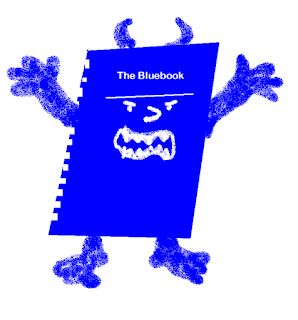 For some help with The Bluebook, check out our guide, Bluebook 101. The Association of American Law Schools is the professional association for law teachers and administrators. It's been around a long time: next week (Jan. 3-7) it hold its 111th annual meeting, in San Francisco, led by this year's president, Dean Kellye Y. Testy of UW Law. Helen A. Anderson, William S. Bailey, Benjamin S. Halasz, and Kathleen McGinnis will speak on experiential learning in legal writing programs. Jennifer S. Fan will speak on corporate venture capital; Prof. Fan is also participating in a discussion on why transactional law matters. Anita K. Krug is the chair-elect of the Section on Securities Regulation. Aline Carton Listfjeld and Hugh Spitzer will participate in a discussion on leadership in the law school curriculum. Emily McReynolds will speak on a panel about using technology to increase access to justice and law school engagement. Michele Storms, now at the ACLU of Washington, will moderate that panel; she's finishing up her term as chair-elect of the Section on Pro-Bono and Public Service Opportunities. Peter Nicolas will speak on LGBT legal issues after Obergefell. Dean Testy is all over the meeting in her role as president. She's also speaking on a panel on the future of corporate governance. The Si'lailo Way: Indians, Salmon and Law on the Columbia River, by Joseph C. Dupris, Kathleen S. Hill &William H. Rodgers Jr. See publisher's page. Fall Quarter ends today, December 16. Winter Quarter begins Tuesday, January 3. The library is on interim hours between now and January 3. This means that the library will be closed on the weekends and Monday, and open 8-5 Tuesday to Friday. Please visit our hours page for more information. 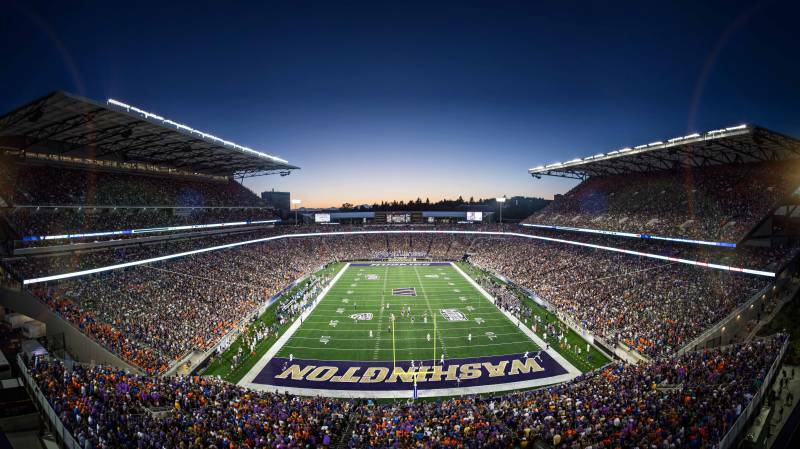 The Huskies are going to the Peach Bowl! 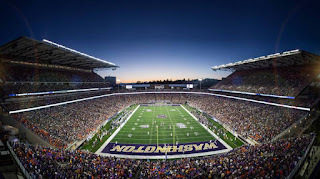 As a long time sports fan, I find this a very exciting time to be in the Seattle area. Football to me is family, either bundled up and braving the cold to witness a game in person or gathered around the television, enjoying warm chili from the comforts of home. But recent revelations in the medical community regarding players' health and well-being have raised ethical and legal considerations around the sport I love. You may have seen the Will Smith driven biopic Concussion this time last year, or noticed the Congressional hearings held this past March.